I didn’t think one of the coolest beverage innovations of the past few years would come courtesy of 7-Eleven, but here we have it: The convenience stores chain has debuted a coffee line called Fizzics Sparkling Cold Brew Coffee, and it’s packaged in self-chilling cans. Self-chilling! Developed by packaging manufacturer The Joseph Company International, the 8.4-ounce cans are “activated” when the customer turns a knob at the bottom of the can, releasing CO2 that cools the coffee inside in about 90 seconds. It even makes a neat hissing sound, kind of like a venting Instant Pot. FoodBev Media reports the packaging took more than 25 years to develop. The Fizzics cans will debut in 15 7-Eleven stores around the L.A. area, but given how lengthy and presumably expensive the development process was for this can technology, I’d expect it will see a much wider rollout in the future. 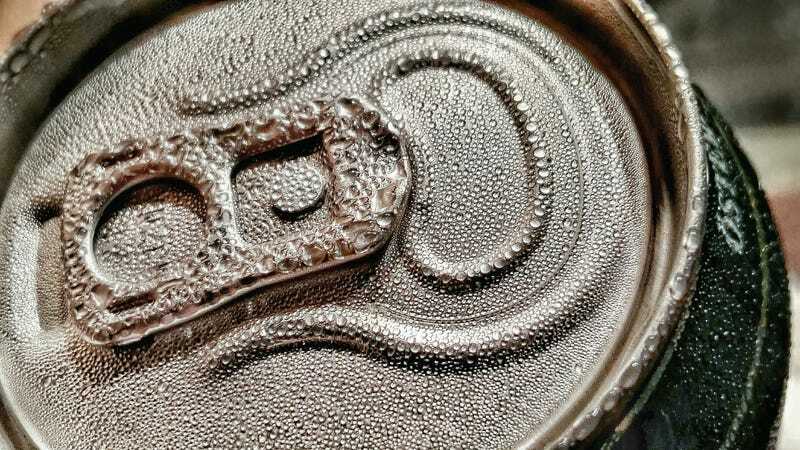 Packaging Digest reports the self-chilling can can decrease the beverage’s temperature about 30 degrees and adds about 150 grams to its overall weight. And unlike Joseph Company’s first iteration of a self-chilling can for Pepsi a few years ago, this new model doesn’t contain HFC134A. That refrigerant caused concerns over its potential to speed global warming—this EPA blog says one pound of HFC-134a is equivalent to over 1,400 pounds of carbon dioxide—and eventually led manufacturers to scrap the first self-chilling can design. With pesky planet-destroying chemicals in the rearview, Joseph Company and 7-Eleven are banking on customers’ interest in no-refrigerator-required cold cans. As someone who hikes a lot, I’m already having visions of a cold, refreshing beer at a mountain’s summit, no bulky ice packs required.